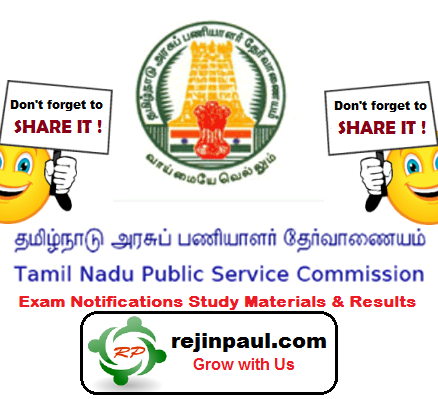 Rejinpaul.com provides a detailed syllabus for various TNPSC Exam conducted by Tamil Nadu Public Service Commission every year. Candidate who are applying for TNPSC Exams can Get their Syllabus in PDF/Doc Format easily in our website. Candidate can check the required Qualification before applying for particular Exam in our website and proceed with it. Candidate can download the Syllabus for following exams and for Other posts also in our website. Here is the link to download syllabus for VAO TNPSC Exams. If you have any problem in downloading the Syllabus, Kindly comment below.